The mesmerizingly blue color of the teardrop shaped gem hanging from the jhumki segment of this pair of blue hanging earrings is enough to make Read More..it a focal point of attention. Moreover, the antique polish visible on the gold plated brass body pronounces class on every inch of it. The black stones studding the upper periphery of the stub along with beads from the lower periphery make the earrings look even prettier. 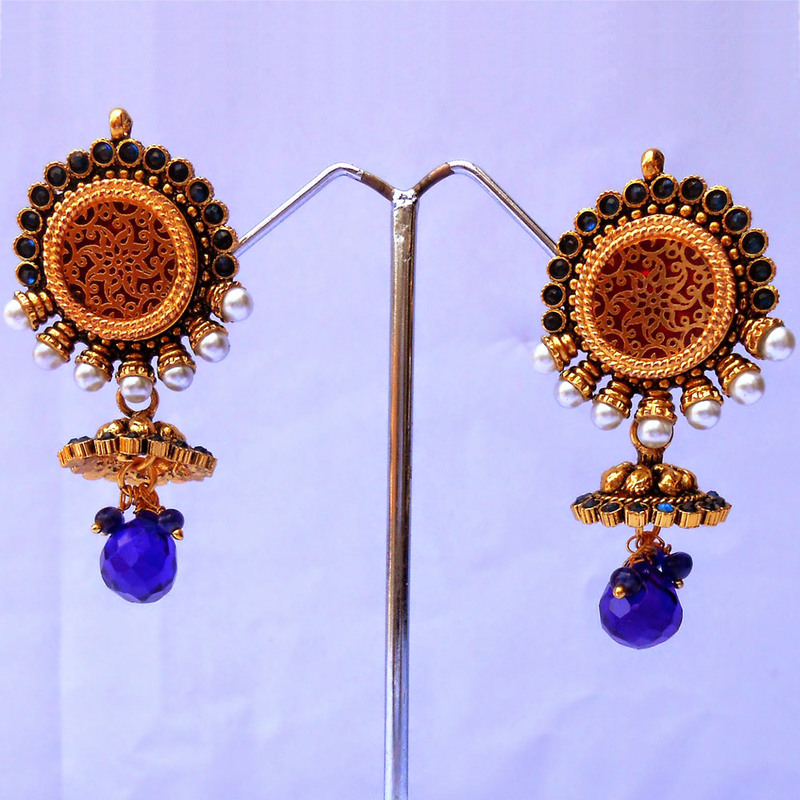 Finally, the delightful design pattern of the jhumki completes the stunning look of this pair of earrings. Show Less..